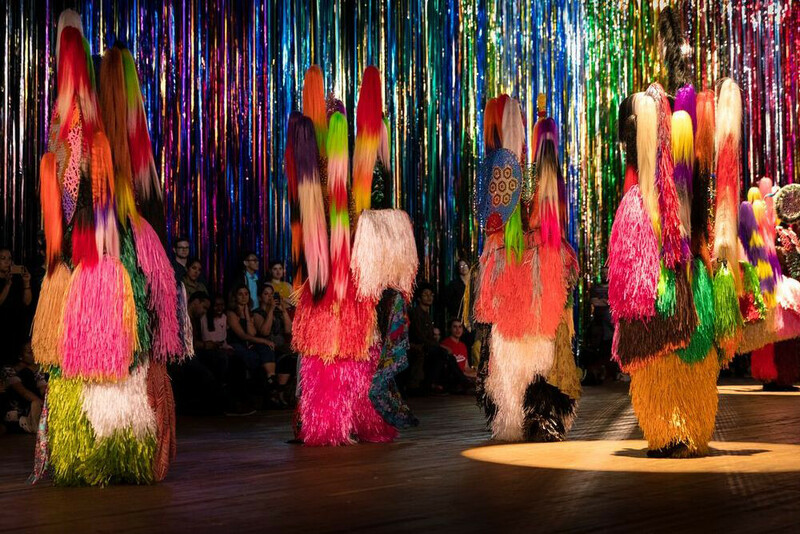 (The other) Nick Cave’s soundsuits turn dance into political action | Daily Review: Film, stage and music reviews, interviews and more. 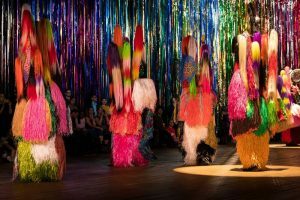 American visual artist Nick Cave returns to Sydney’s Carriageworks in November with UNTIL – the largest scale project that Carriageworks has ever presented. 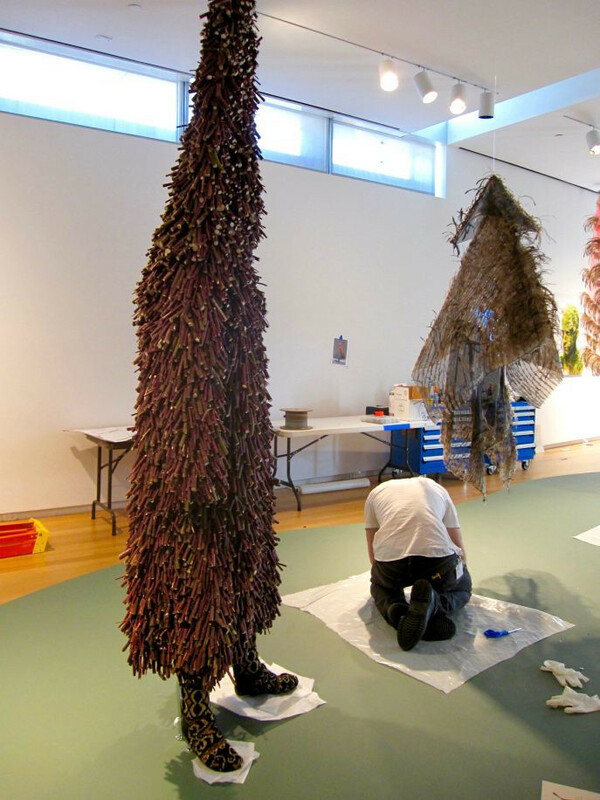 The work is comprised of thousands of found objects and millions of beads, giving visitors the feeling that they have stepped inside one of Nick Cave’s iconic “soundsuits”. If you missed Cave’s HEARD-SYD at Carriageworks in 2016, read about the history of the artist’s soundsuits in this article below by Carole Strickland in The Clyde Fitch Report and their most recent outing which concluded at New York’s Park Avenue Amory this past weekend. 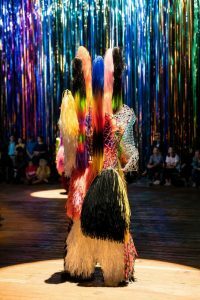 For the past seven weeks, the Chicago-based, multidisciplinary artist Nick Cave transformed the vast Drill Hall at the Park Avenue Armory in New York into a venue for two exuberant projects that combined elements of performance, installation art, playground glee and rave-party bacchanalia (sans alcohol or drugs). Soundsuits exist as both stand-alone sculptures that are sold in galleries and as protective body armor to disguise dancers who don them. Often 2.5 metres tall, they transform the wearer into a fantasy creature: a Dr. Seussical shaman with resemblance to Mardi Gras Indians, indigenous Native Americans and tribal Africans engaging in dance-based ceremonies. 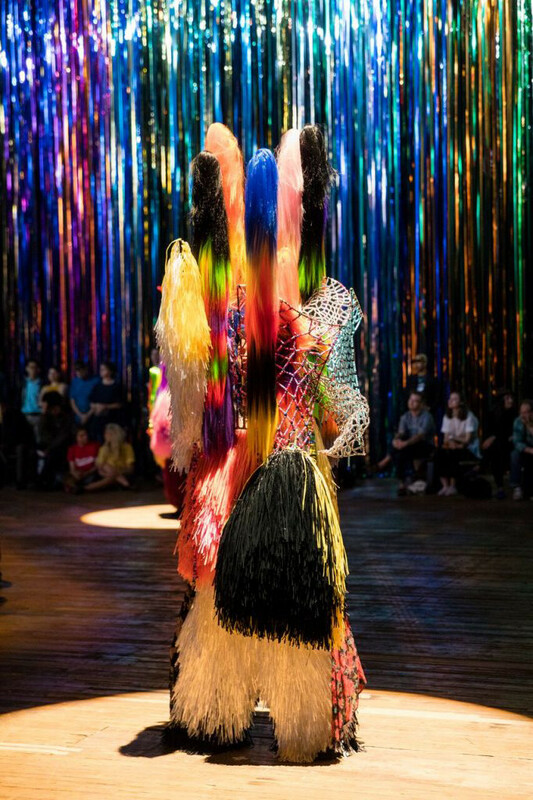 Composed of thrift-shop materials including raffia pom-poms, beads and synthetic hair in day-glo colors, the suits are activated by movement. Viewers who were lucky enough to see Cave’s 2013 HEARD.NY — 30 dancers in horse costumes, stomping, twirling and shaking their tail feathers in Vanderbilt Hall in New York’s Grand Central Station — reacted with delight to the dance, music and rustling sounds. “Up Right” dancers parade in front of curtain of mylar streamers at the Park Avenue Armory in New York last month. Photo: James Ewing.